For most people, everything they know about the composition of the Earth is what they were taught in elementary school: that our planet is made up of an eggshell-like crust over a thick mantle surrounding a super-hot core. 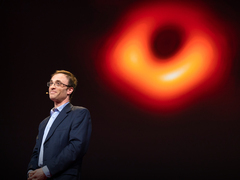 In the last decade, scientists have made some super-interesting — and even strange or profound — discoveries that can add detail to that picture. Among their recent subterranean findings are a river of liquid metal that moves more swiftly than the tectonic plates, “bubbles” at the crust-mantle boundary, a new species of mineral that is somehow capable of holding water hundreds of miles within the mantle, chambers of magma where rocks are heating up like popcorn and expelled. A visualization of the seismic waves from six Gulf of California earthquake events, over the years of 2007 to 2013, created by a team led by Manochehr Bahavar of the IRIS Data Management Center. Like the deep oceans, our planet’s innards are extremely difficult to study. Since humans can’t travel very far into the Earth (and certainly not the 3,963 miles to its core), investigation has largely depended upon the development of technology that can sense what lies below. The existence of tectonic plates was confirmed only around fifty years ago when sonar was used to map the ocean floor. Why is venturing below so difficult? For starters, the pressure. Just eight miles down, you’d feel the equivalent of 131 elephants of force pressing down on your head. And it’s unbearably hot. The temperature at the bottom of the top layer of the crust is roughly 1,600 degrees Fahrenheit. That’s breezy compared to the Earth’s core, which is thought to be about 10,800 degrees (as hot as the surface of the sun). So far, the farthest down that humans have tunneled is 7.6 miles. Scientists have found two enormous, mysterious blobs of super-hot material that lie under the earth’s crust. In this visualization, seismic wave paths are shown passing through the blob. The blue and red features represent, respectively, high- and low-velocity material, discovered from tomography. Visualization by Ed Garnero. Geophysicists use seismometers to “see” inside the Earth, similar to how X-rays see inside our bodies. We tend to think of the Earth as fairly solid, except perhaps when hit by an earthquake. In reality, though, we live on chunks of crust that are constantly doing a dance that we can’t feel but scientists are always monitoring. For example, Phoenix, Arizona, rises and falls by about 40 centimeters twice a day, due to the sun’s and moon’s gravitational pulls. And Southern California has about 10,000 earthquakes a year, most a magnitude two or less. Each of these quakes — and every rise and fall — creates seismic waves that are recorded by instruments called seismometers. Like an X-ray machine, a seismometer assesses how energy moves through an object to infer what’s happening inside that object. Right now, the Global Seismographic Network (GSN) has more than 150 seismic stations distributed throughout the world, while the Incorporated Research Institutions for Seismology (IRIS) network includes over 250 stations. In 2016, Ed Garnero from Arizona State University’s School of Earth & Space Exploration (TEDxManhattanBeach talk: An amazing look into the center of the earth) and a team used this trove of seismological data to delve into an ongoing mantle mystery. For decades, geophysicists had observed seismic waves slowing down in two areas beneath the crust on roughly opposite sides of the Earth: one below the Pacific Ocean and the other below Africa. They discerned that the masses were huge — each the size of a continent, 100 times the height of Mount Everest, and around 1,800 miles beneath the surface. And they assumed the areas were extra-warm, since unusually hot zones can cause waves to slow down. Garnero and his researchers were determined to find out more. “They are the largest parts of our Earth that we [have identified but] know nothing about,” he says. Garnero’s team looked at the data — and made a major discovery. The giant blobs are not just a different temperature from the rest of the mantle; the researchers think they have a distinctly different chemical composition too. “We see from the seismic waves that go near the boundaries of the blobs that they split into a wave that goes into the blob and slows down, while a wave that continues along the blobs’ outside margin goes at normal speed,” Garnero says. “Scientists believe temperature alone cannot do that, so the blobs being compositionally distinct is the easiest explanation.” Researchers don’t know what the blobs are made of — yet — but they can tell the masses are denser and more stable than what’s around them. And they’re most likely feeding volcanoes. “On Earth above the blobs, there are volcanoes past and present, from small to massive,” Garnero says. For example, the hotspots that formed Hawaii, Samoa and Iceland are all fed by extremely deep plumes of magma that appear to be connected to the blobs. Which leads to the question: Where did these blobs come from? One intriguing theory is that they’re leftovers from our planet’s formation — remnants of some primordial layer of the Earth that eroded away over billions of years through the power of convection. “Our core ‘cooks’ the mantle rock, which makes up about half of the Earth, from below, causing it to slowly turn and move,” Garnero says. “If you did a timelapse of millions of years of Earth’s rocky mantle, you’d see it swirl around just like smoke moving around a bonfire.” And perhaps some of the material was swirled into forming the continent-sized blobs. Garnero and his team have used the seismic data to construct intriguing images of the Earth that include the mantle blobs, essentially giving us an MRI of our planet. Inside the Earth’s mantle, heat from the core (in red) cooks the mantle rock (in blue), causing the rock to move like smoke around a bonfire. The motions visualized here would happen over a few million years. Visualization by Dr. Allen K. McNamara of Arizona State University. Garnero wants to share with the public the thrill of searching inside the Earth. Recently, he and a group of artists from Arizona State University, led by Lance Gharavi, created “Beneath: a journey within,” a film-music-dance performance designed to immerse the public in seismic data. Garnero says the cross-disciplinary collaboration has been exhilarating: “The scientists give the artists a platform to create, and then the artists give the scientists a new way to see their data.” The performance, which featured artists including a bass-playing geophysicist interacting with his data through trip-hop bass-lines and a belly-dancing theoretical astrophysicist embodying seismic waves, is being held inside a 3D theater on campus. Next for geophysicists: Combing through data from the world’s seismometers to add to the expanding pool of subterranean knowledge. In 2017, an extremely detailed map of the inner Earth was created by a team from Princeton University with the help of one of the world’s fastest supercomputers, Titan, which can perform over 20 quadrillion calculations per second. This visualization provides another view of the two continent-sized blobs of unknown material, deep within the Earth. Created by geophysicists Scott W. French and Barbara Romanowicz of the Physique du Globe and the Collège de France and UC Berkeley. As for Garnero, his ambitions are galactic. He and his students are now working “to get the most detailed information out of seismic data,” he says, including revisiting an earlier study of the moon that confirmed it has a solid, iron-rich core. His department is also developing a tiny seismometer for NASA to take on a mission to Jupiter’s moon Europa; it would measure tremors on Europa’s crust and possibly locate as-yet-undiscovered bodies of water beneath its icy exterior. Designing such a device is not easy, according to Garnero. Seismometers are ultra-sensitive pieces of equipment, and this machine would need to be sturdy enough to handle a rough spacecraft landing and the other extremes that come with extraterrestrial travel.